Dr. Jane Fritz, Interim Vice-President Academic (Fredericton), is pleased to announce that Dr. Patricia Seaman has been named acting dean of the faculty of nursing at the University of New Brunswick’s Fredericton campus. Dr. Seaman will assume the role on August 1 when the current dean, Dr. Kathleen Valentine, will take up a position at Clemson University in South Carolina. Since joining UNB in 2001, Dr. Seaman has become well-known for her participatory leadership style. Her dedication to building the ability of others to succeed has been apparent in her work as the assistant dean of UNB’s collaborative bachelor of nursing degree with Toronto’s Humber College, a role she has held since 2009. Dr. Seaman’s expertise is in the fields of community health and development, emergency preparedness and primary health care. Her current projects are especially concerned with “Boomer” women as they transition to retirement and the role that volunteering plays in that process. Prior to joining UNB, Dr. Seaman spent 20 years as a nurse, instructor and director with the Victoria Order of Nurses (VON). Her wealth of experience with VON, Canada’s longest-standing home and community health care charity, is just one example of the superb quality of her work in community care. 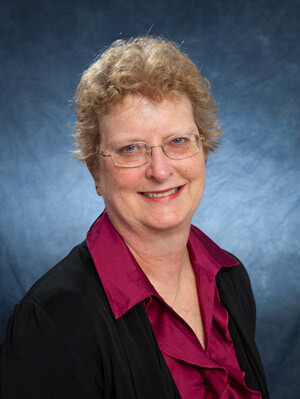 Dr. Valentine joined UNB as dean of nursing in 2014, having previously served as associate dean for clinical affairs and community engagement at Massachusetts General Hospital Institute for Health Professions and associate dean for outreach at Florida State University’s college of nursing. In her two years as dean, Dr. Valentine has been integral to UNB’s Community Health Clinic and its partnership with Horizon Health Network to advance nursing and inter-professional services within the Fredericton Downtown Community Health Centre (FDCHC). The FDCHC is a teaching facility that provides primary health care services, chronic disease management, and illness and injury prevention to a diverse population that includes the homeless and refugees. As Syrian refugees began to arrive in the Fredericton area, the FDCHC took on a continuing role in the resettlement process. In September, Dr. Valentine will take up her new position as director for the school of nursing at Clemson University in South Carolina and chief academic nursing officer with its clinical partner, the Greenville Health System.